Binding – The Perfect Finish! 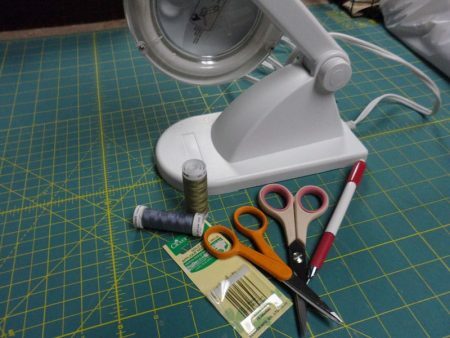 So you’re done with your quilt and it’s time to do the binding. 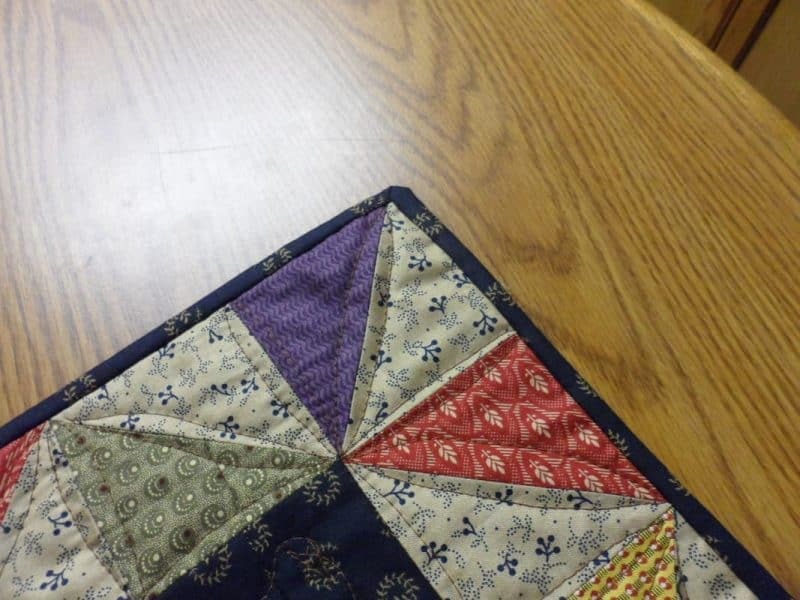 To some quilters, the binding is an afterthought … they just want to get the quilt done. But I like to treat the binding another “frame” for the quilt, just like borders. So here’s some of my tips that I use when choosing a binding for a quilt. Single-fold binding is just as it is described. 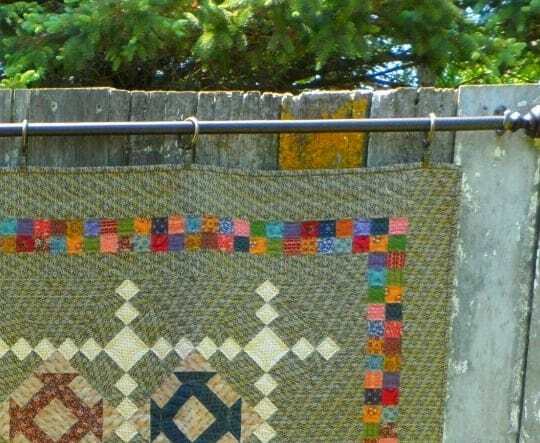 It’s single strips of fabric, usually joined by a bias seam, stitched to the front of the quilt top and then turned to the back and stitched down to “close” the quilt sandwich. I use 1 1/2″ strips. 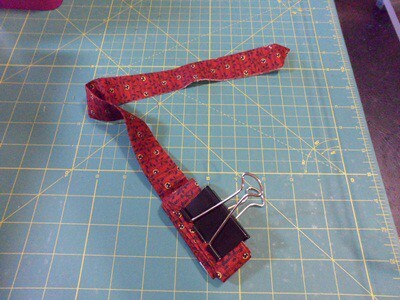 I like to use this type of binding on wall hangings, table runners and other small projects. It’s less bulky for small projects. My double-fold binding is made from 2 1/4 or 2 1/2″ strips, seamed together on the bias and then pressed in half lengthwise for a double thickness. 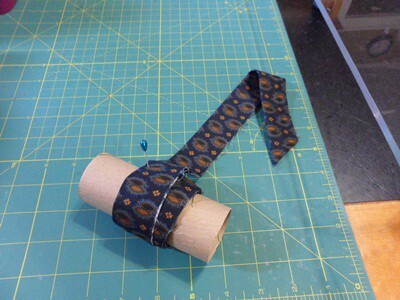 I like to use this type of bindings on lap size or larger quilts. Mostly because those quilts tend to get handled more and I think double-fold binding is more durable. 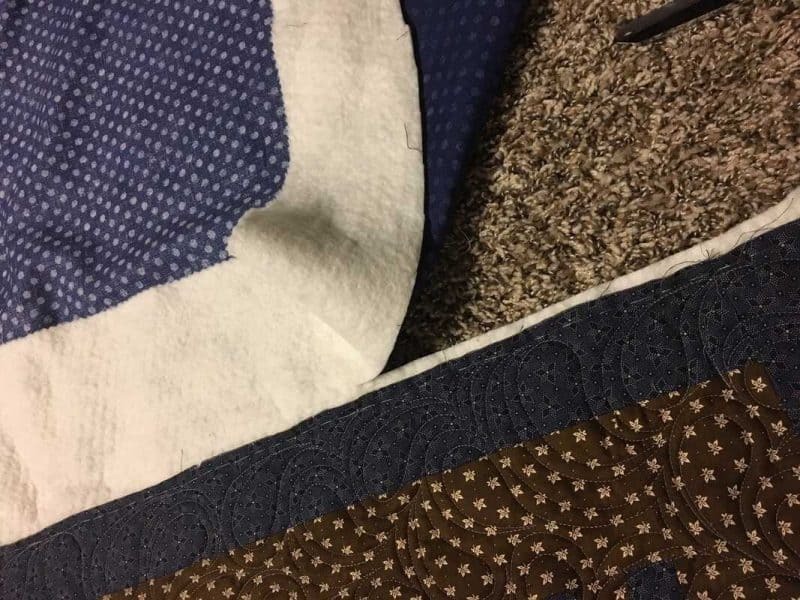 Tip: When I am working with a long strip of binding for a big quilt, I like to keep it under control by winding it around a left-over toilet paper roll and securing it with a large pin. Then as I am pinning and stitching the binding to the quilt top, I just unwind the amount I need as I go! 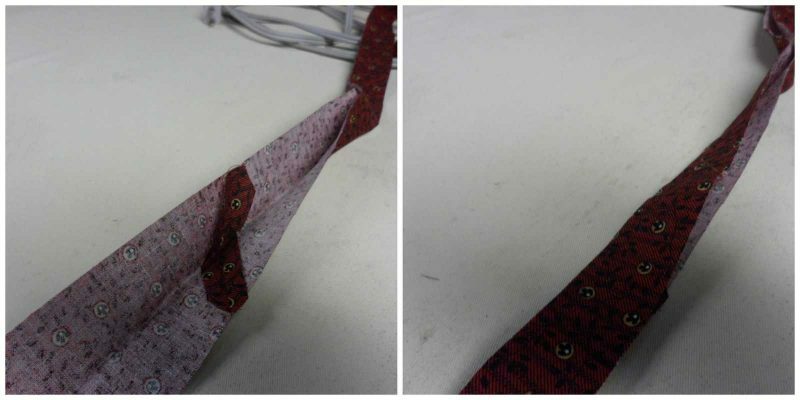 Another option is folding up the binding and securing it with a large binder clip. See how the dark binding frames the edges? Sometimes, I want the binding to blend in with the edges of the quilt. To do that, I choose a color that is not in contrast with the quilt top. 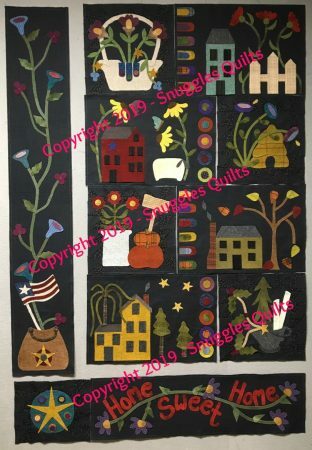 Most of the time, I choose the fabric of the background or last border of the quilt. 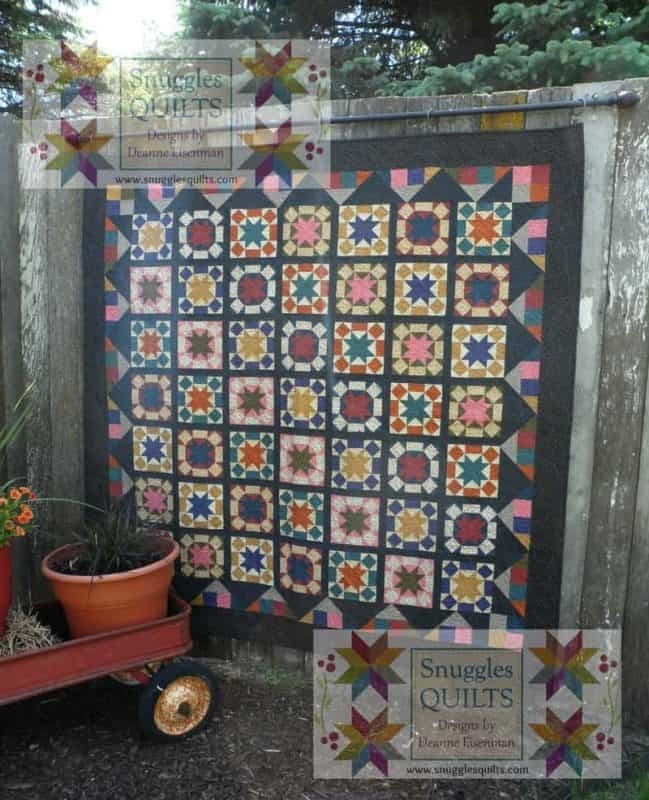 Finally, if I really want to have fun, I’ll do a scrappy binding made from the leftover fabrics used in the quilt top. So here are a few other random tips. 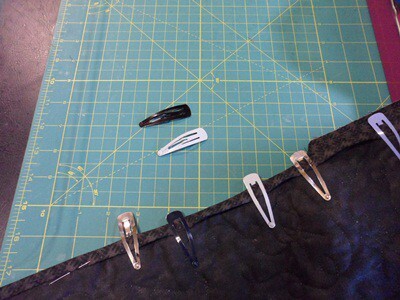 To secure the binding while you are stitching it to the back, use hair clips! Once my daughter moved on from using these in her hair, we had an abundance of these clips. Literally all over the house. They are great for holding the turned over binding in place! To have a nice full binding, I like to leave a little batting and backing (about 1/8″) when trimming away the excess batting and backing from the quilted top. 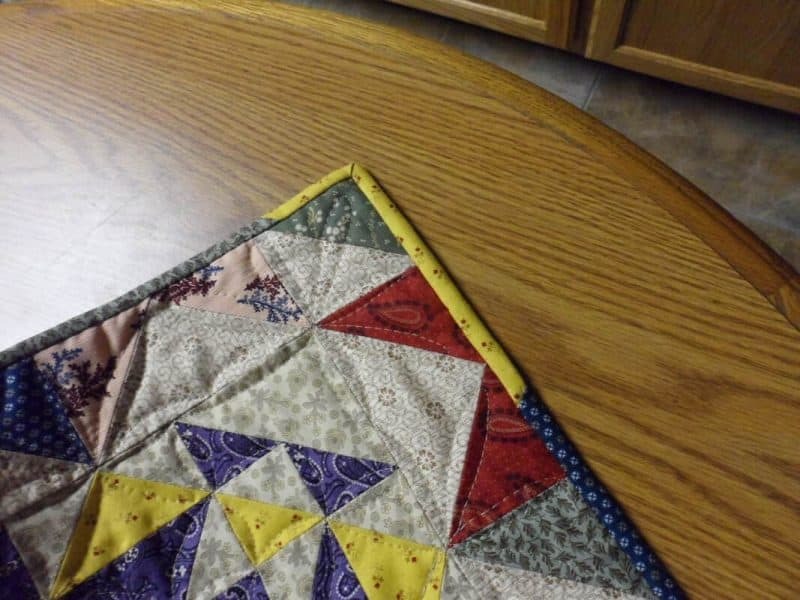 I then attached the binding to the top of the quilt using the quilt top edge as my guide. After the binding is attached to the top, I will them trim off the excess batting and backing. 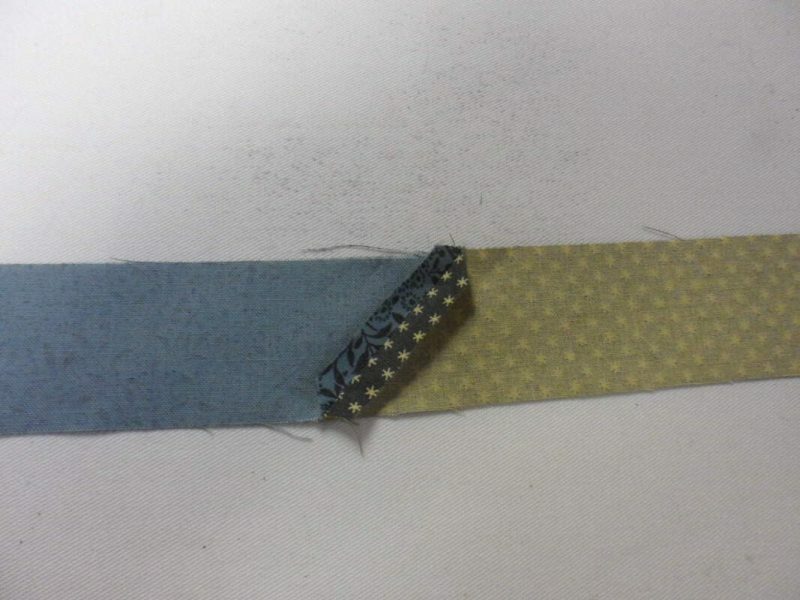 By doing this, it is guaranteed that all the three layers are sandwiched in the binding to make it full, as opposed to trimming the other two layers even with the top before stitching the binding to the top and risking over trimming. So, that’s all I have to share on bindings at this time. Let me know if you have an interesting tip for binding. 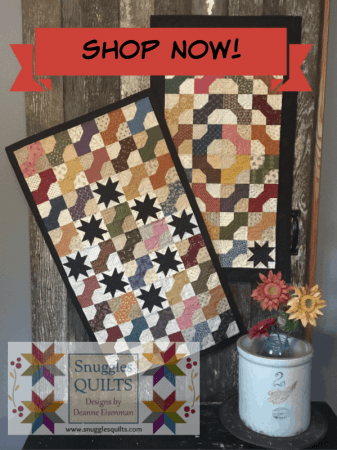 Leave a comment below and you will be entered into a drawing for a free Twilight Desert quilt pattern!